The current network communications contract expires at the end of 2019, so a Common Procurement Agreement (CPA) was established to source a new network service, which would meet the future requirements of Europe’s aviation industry, bringing together over 40 industry partners from across Europe. This led to the proposal of NewPENS (Pan European Network Services) – a major upgrade to the current PENS network. Rather than just renewing the existing contract, we’ve used this as a chance to upgrade the system to meet the evolving demands of the growing aviation industry. The PENS network is incredibly important to our day to day operations; any failures to the system result in flow restrictions and delays for our customers, something we work tirelessly to avoid. 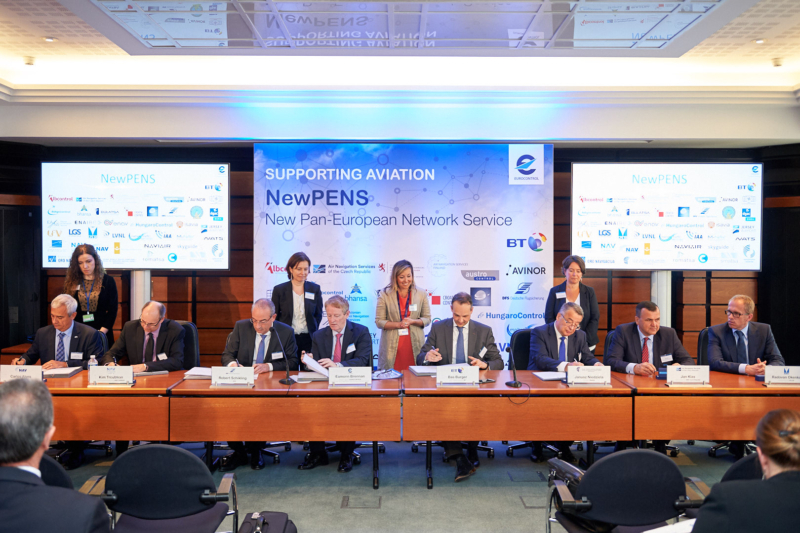 The 10-year NewPENS contract signed by BT, Eurocontrol and 41 industry partners (including NATS) is worth more than €50 million and plans to take secure and reliable communications in Europe to the next level. The upgrade will connect over 100 locations across 47 countries and will transfer business-critical data between these organisations via secure, resilient infrastructure. NATS has been heavily involved in the development of NewPENS. We have so many interfaces with other ANSPs in Europe that it is vital the transition is both a smooth and transparent one. We took a particular interest in the security of the network to ensure both critical applications and user data is protected, which will be achieved by increasing the safety levels to an ATM grade. NATS has been involved right from the start of the project, including being represented on the Common Procurement Task Force (CPTF) which was established to define the procurement specification and to perform the bid evaluation and negotiation activity. The NewPENS model was informed by a study conducted by the A6 Alliance, which two of NATS design engineers played a leading role on. The study brought together ANSPs from around Europe to discuss their needs in regards to the architecture of the communications network and service design. 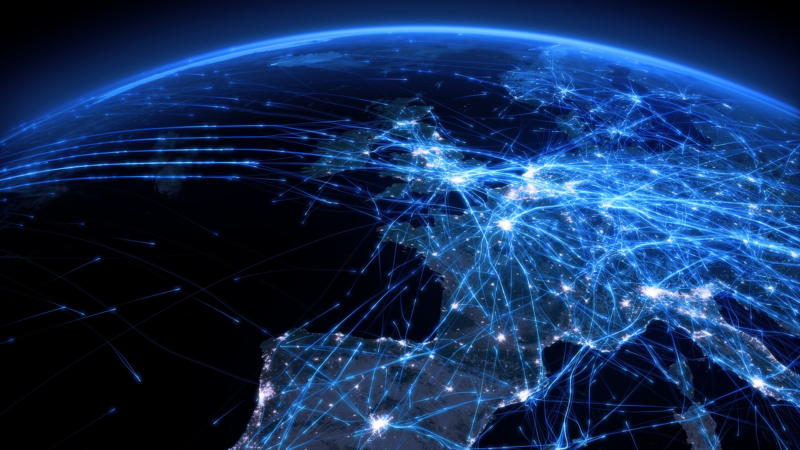 The network will improve interoperability across Europe by supporting the SWIM architecture – where resilient data sharing between ANSPs is crucial to achieving the goals of SESAR, such as more efficient flight profiles and the ability to safely manage growing volumes of traffic, as well as supporting future air traffic management applications. Different tiers of services such as entry-level, mid-level and high-end will ensure users will only pay for the services they need. Whilst its primary focus is on European aviation stakeholders, NewPENS has been established with the future in mind. Non-European ANSPs will have the potential to join the network and additional services can be added to the functionality if required. In fact, the NewPENS CPA has already been signed by ANSPs in North America, North Africa and the Middle-East. Now the contract has been signed, efforts will start apace to ensure the transition from the existing PENS model to NewPENS goes as smooth as possible. Providing us and the wider aviation industry with the communications infrastructure it needs for the 21st century. Mustafa is currently a Manager in the Core Services, based in Corporate and Technical Centre in Whiteley. He has been representing NATS on all matters relating to Pan European Network Service (PENS) including its executive body, the PENS Service Steering Group, which he has been chairing for a number of years. He is also the Chairman of the new Air Traffic Services Board (ATSB) for NewPENS.